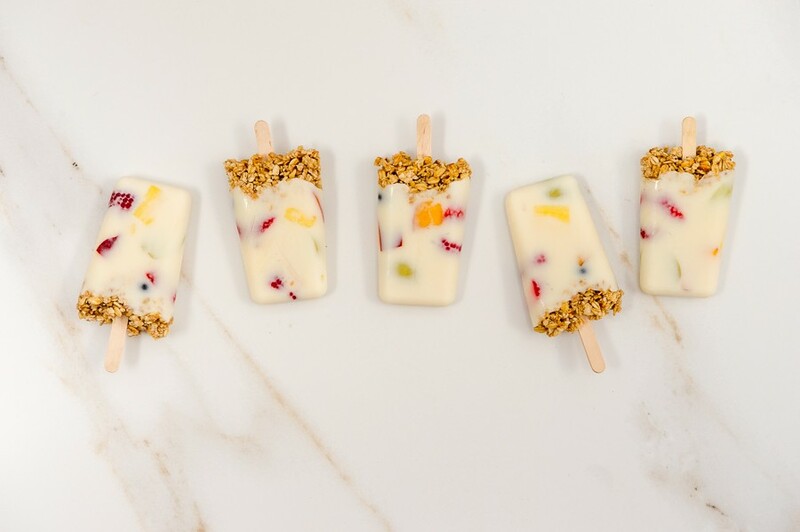 These pretty Breakfast Lollies are as pure and innocent as they look. 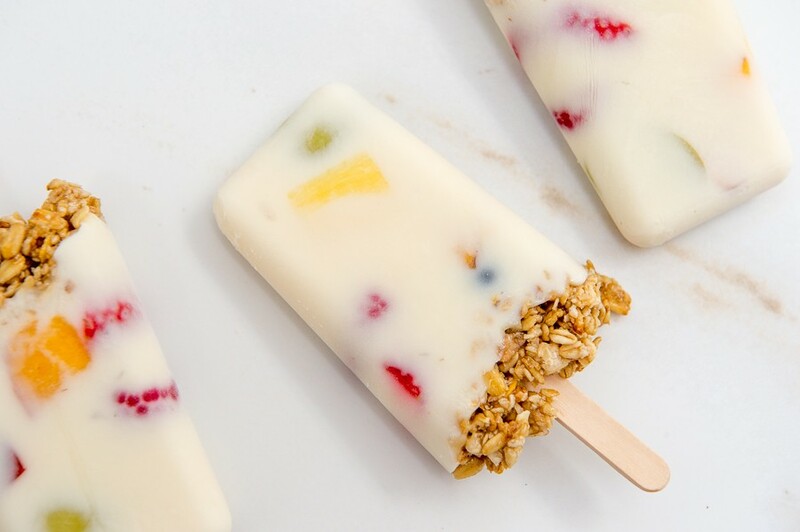 Made with only yoghurt, fruit, honey and granola, these make for a refreshingly guilt-free treat. We recently had some friends over for brunch. I wanted to make something fun for their little girls to eat. Fun, but still healthy. Needless to say the kids loved them, and were surprised that they were allowed a second helping. 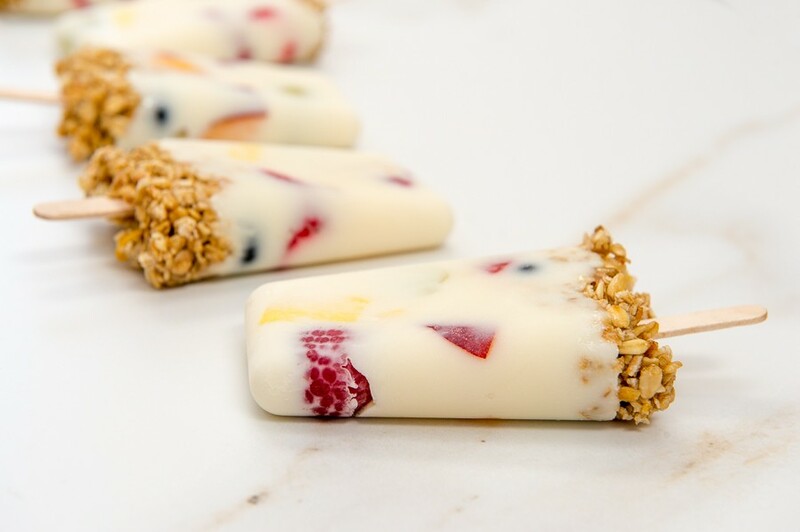 No need to save them all for the kids though – they are also a handy on-the-go breakfast on a warm weekday, or a light dessert. Divide the yoghurt mixture between your moulds, filling them about 3/4 of the way to the top. Drop your fruit into the yoghurt. Use the back of a spoon to push some pieces down so that the fruit is fairly evenly distributed. My moulds are quite small so I only used 1 piece of each type of fruit per mould. Mix the granola with the 50ml of honey. 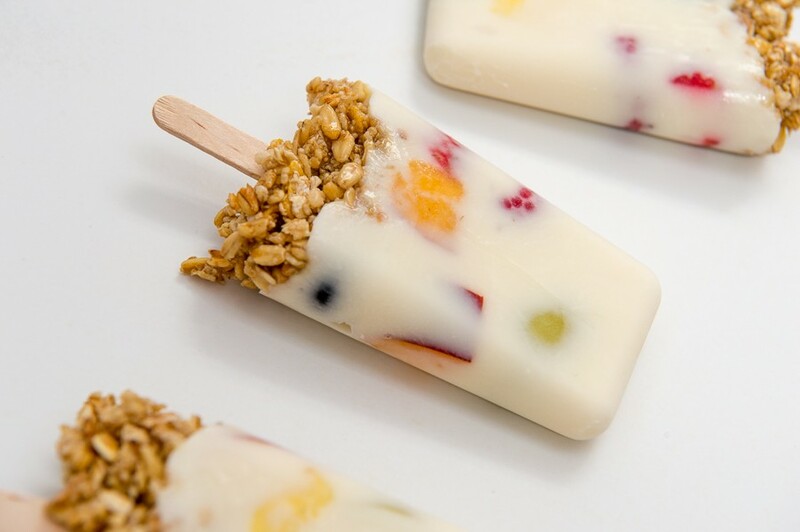 Use a teaspoon to top up each mould with a layer of the granola. As the granola layer is a little sticky, it helps to dip the moulds in warm water before removing the lollies from the moulds. *I used raspberries, blueberries, halved strawberries, halved green grapes, chopped pineapple and chopped nectarines.